Let's be honest, when it's cold outside (and often inside), we spend a lot of time curled up in bed. Well, at least I do. 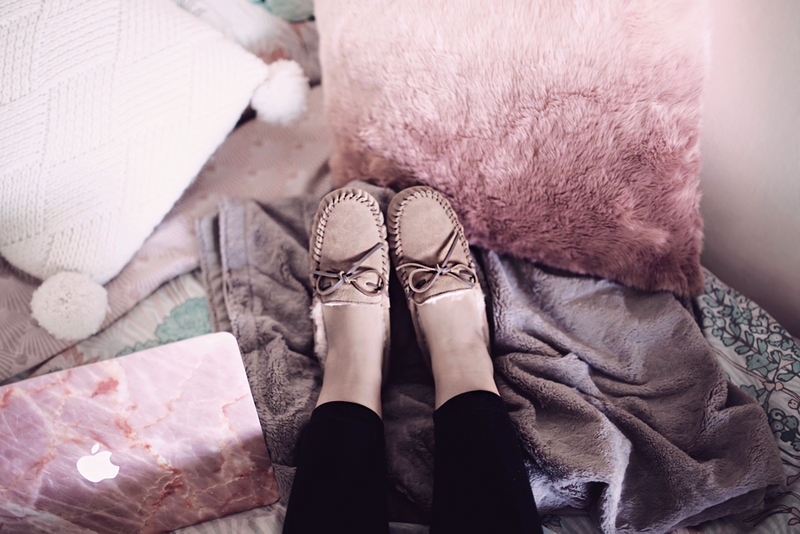 That's why I love to refurbish my bedroom with new bedding (loving this Asian inspired print one from Primark) and fluffy cushions and faux fur throws for the cold season. This is an obvious one, but candles are my favorite thing in fall / winter. They fill the room with an amazing aroma and the extra light is so comforting when it's getting dark outside so early. 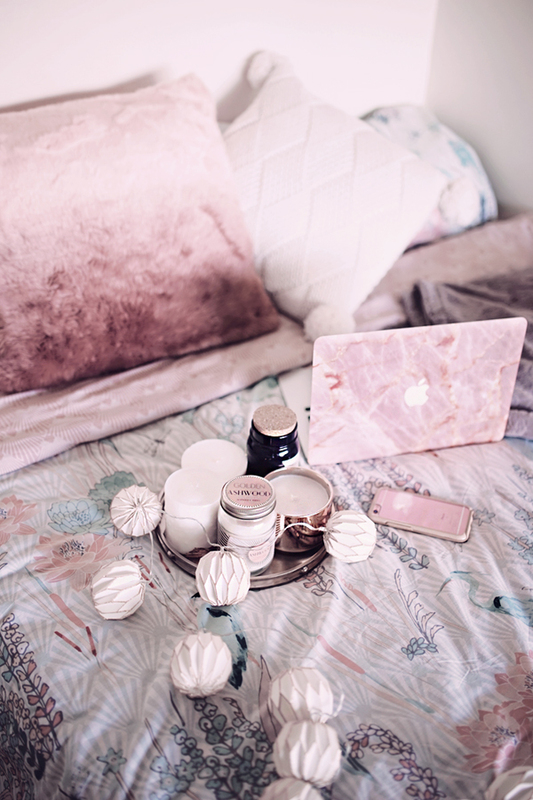 I guess this falls into the same category as candles, I just love bringing out fairy lights way before their time for Christmas, for the same comforting reason and extra light since it's already dark after 5pm. Most of you will agree that fall / winter is the time for TV series binge watching! This week I started watching American Horror Story and it's so good! I'm also stoked about Gilmore Girls reunion this month - anyone else? I never thought I'd love cooking but I actually do! And once the temperatures drop outside and I spend a lot of time inside, I love experimenting with new recipes. Heartwarming homemade dishes really do make the winter at home more enjoyable, and the process itself too! 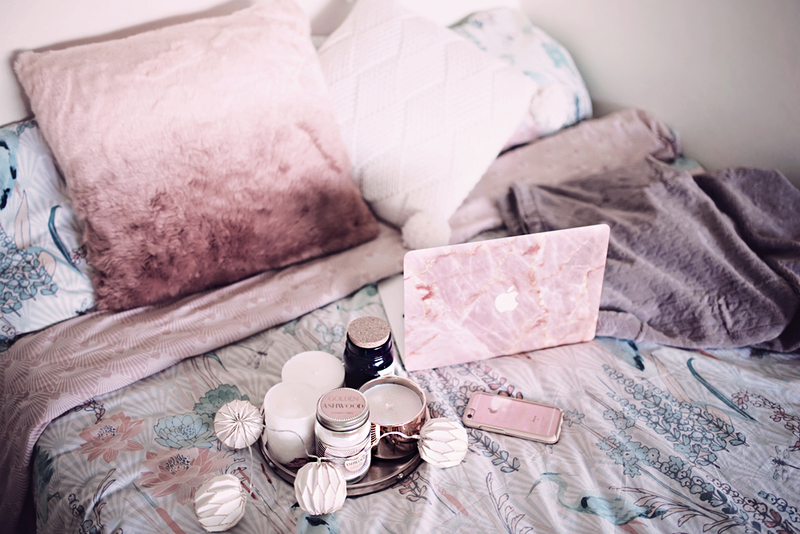 Your bedding is so pretty, i love how cute your laptop case is too! Perfect set recommended! So cute photos! i just put my christmas bedding on its just makes everything so much more cosy. just need to get new christmas pjs and i'm ready to go.